First of all, I apologize for the shameful lateness of this post. A book release takes up a lot of time! But still, that's no excuse. 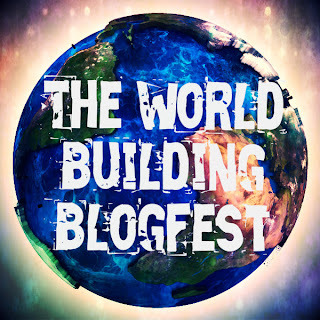 I've read through the excerpts from the Worldbuilding Blogfest and picked a winner! There were quite a few good entries and it was tough to choose. At the end of the day, much of it was subjective, so don't feel badly if you didn't win. I chose Stevie's entry because of the strong sense of place with very little "telling." The worldbuilding came from the dialog and sparingly placed but colorful descriptive details. Stevie Carroll is the winner of a full manuscript critique. 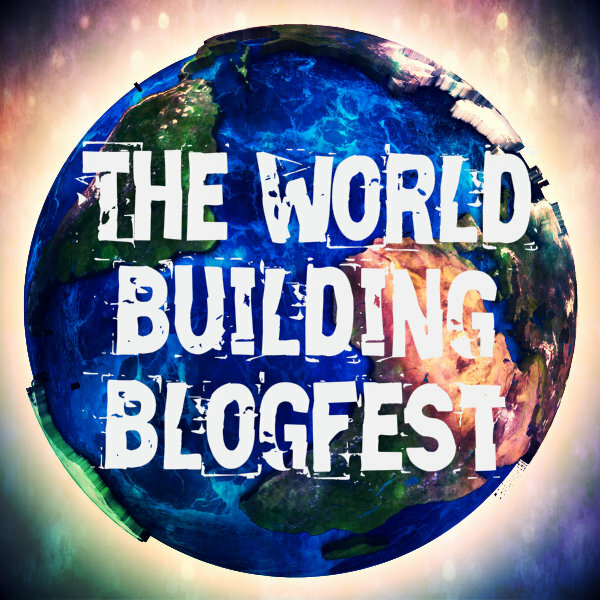 If you were one of the first 30 people to sign up and participate in the Worldbuilding Blogfest (yes, this is more generous than my original promise :) ), you'll be getting a gift from me soon. I know many of you have already downloaded, The Charge, but already being awesome shouldn't preclude you from winning! Please just forward the gift to someone else if you already have it. For those of you not in the top 30 you can still pick up The Charge for only 99 cents this week, along with 30+ new and bestselling titles from Curiosity Quills Press. Linda eased her car up the gravel drive, careful not to scratch its paintwork on the trees to either side. At the top was a double garage, with Parking painted neatly across its door, the only vehicle a Land Rover that was a good decade past its prime. Linda did as instructed, stopping her car in front of the garage, close to the Land Rover, leaving plenty of space for other guests to park. Leaving her bags in the car, she crossed the drive and followed a similarly gravelled path, squeezing past more trees, to the half-open front door. She pressed the doorbell, and waited. After a minute or so, and another attempt at the bell, she pushed on the door, and stepped through it into a small hallway. "Hello? Is anyone at home?" A dog barked once somewhere deep within the house, as a buxom woman, with greying brown hair, bustled into the hall, wiping her hands on a tea-towel. "I'm sorry, dear." She folded the tea-towel, and slipped it into the pocket at the front of her very floury apron. "I wasn't expecting anyone today. Did you ring the bell?" She reached over and switched on the ceiling light. Linda nodded, dazzled more by the vibrant orange and yellow sunflower wallpaper than by the light itself. "You're not a Jehovah's Witness are you?" "No I'm –" An atheist? Not a churchgoer? "– I'm firmly Church of England." "We get them sometimes, you know. Bussed out from Chesterfield or Derby, I expect. Not that they're likely to convert anyone around here, but I suppose you can't blame them for trying." She looked Linda up and down. You can't be here about the eggs, because it's not Tuesday..."
"I was hoping you might have a room available." "I've got a whole house available. We don't get many visitors until a week or so before Well Dressings start. Was it just for the one night? Dinner, bed and breakfast?" "I... don't know." She didn't know. How could she know anything anymore? "You don't have to decide right now, dear." The woman wiped her hands down the front of her apron, adding more flour to them than she removed. "I'm forgetting myself. I'm Elaine Ollerenshaw. Do you need a hand with your bags? There's just me, but I don't suppose you've got more than we can manage between the pair of us." On the way back to her car, and then up to her room, Linda learned that the guest house had formerly been the farm manager's residence, but the estate manager had a house in Lower Pemberley. Following Mr Ollerenshaw's death, the present duke, who at the time had 'just buried his father and brother', had kindly allowed Mrs Ollerenshaw to stay on in the tied accommodation providing she could find a way of paying the rent. Not that it was much rent, but the money from paying guests did help to see that it got paid 'regularly on the first of the month'. Dinner was usually served at six-thirty, but Mrs Ollerenshaw had been busy with baking, and hadn't expected guests, so that day it would be a little later. She would prefer to know how long Linda was planning to stay 'by breakfast time tomorrow' as Saturday was market day in Ashbourne, and she needed to know how much food to buy in for the week. Gosh. That's a lovely surprise for a Monday morning. Thank you so much. Congrats to Stevie, and I only wish I'd had time to get through every single post in the blogfest. It was fantastic, Sharon, and congrats on The Charge! I . . . somehow ended up with three copies of it between the ARC from you, and the NaNo Virtuosos contest, and from this blogfest. Yes, I definitely forwarded it on to a friend, lol.